There are some actresses whose sheen just refuses to fade. Kareena Kapoor, now Kareena Kapoor Khan is one of them. Now way beyond hits and flops, the actress, when she's not occupied collecting prestigious awards at London’s House of Commons and promoting her upcoming romcom Gori Tere Pyaar Mein which sees her pair up with Imran Khan again after Ek Main Aur Ekk Tu, she’s busy turning down plum roles in big films – why? Because she can that’s why. The diva who was rumoured to have been roped in to play writer Amrita Pritam in a biopic on legendary Urdu poet Sahir Ludhianvi, says she is still reading the script of the project. The film is reportedly based on the romance between Ludhianvi and Pritam. Ludhianvi's role is said to have been taken on by Farhan Akhtar. "I have got the script of this film and I am still reading it. I have liked it so far, so let's see," said Kareena to IANS. Produced by Ashi Dua, the film will be directed by Jasmeet Reen. She’s also quick to refute the reports that she turned down a heroine centric role in Tigmanshu Dhulia's Begum Samru because the lead actress is required to perform some dare-bare scenes in the film. "I will do the films whose subject will interest me and it has nothing to do with bold or not bold," Kareena said earlier this week. "There are no limitations after my marriage, it's all in your minds," added the actress who got married to actor Saif Ali Khan last year. Begum Samru was the ruler of Sardhana, near Meerut, and Dhulia's film will trace her evolution from a 'nautch' girl into a strong political figure of Sardhana princely state. On a slight tangent, the actress regrets not pursuing further education. "Be it a village or a city, education is very important and it always comes into you," said Kareena. "(Education) is one of the most important things and we should always encourage children to be educated, go to school, and go to college," she added. Kareena entered filmdom in 2000 with Refugee when she was 20 years old. After that she got so busy with her film shoots that studies took a backseat. She studied law for some time but didn't complete the course. "I think I couldn't study as I have always been interested in films. But today I regret that. "It is important to be well read, at least a little bit," said the 33-year-old. 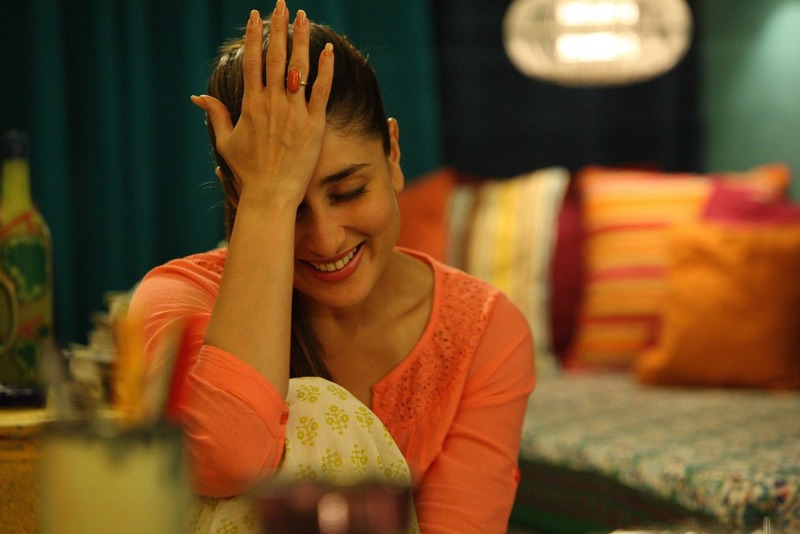 In Gori Tere Pyaar Mein Kareena plays a social worker Dia who is relentlessly pursued by Sriram, Imran Khan’s character. The songs of the film which hits screens on 22 November 2013 and is directed by Punit Malhotra are already a rage. What are your expectations from the Gori Tere Pyaar Mein?